Hobart, this beautiful town famous for its Georgian-style buildings and the air is cool. In this city you can explore the Salamanca Markets and visit the many sandstone buildings in Salamanca Place. 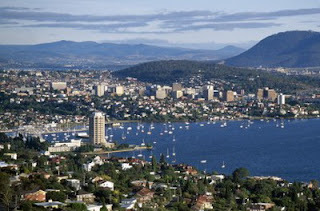 Climb Mount Wellington to see the rugged landscape of Hobart and the Derwent River. Looking at Australia's oldest bridge located in Richmond. Through the forest and agricultural land to wineries in the cool temperate Coal Valley. Seeing the great vessel sailing and enjoy fresh seafood at one of the waterfront restaurants in Hobart. 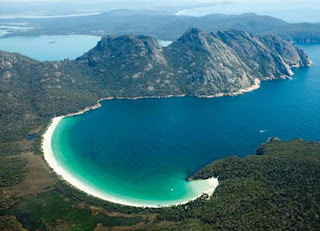 The beauty of the east coast of Tasmania that is full of various attractions. Here you can kayaking, hunt in the history of Maria Island, taste the fresh berries and wines from the estate near Swansea, to visit the beautiful bay Wineglass Bay in Freycinet National Park. will be an enjoyable vacation experience. Cradle Mountain. In this park, Besides enjoying pristine natural beauty, we can also play around with the typical wildlife of Australia, directly in their natural habitat. 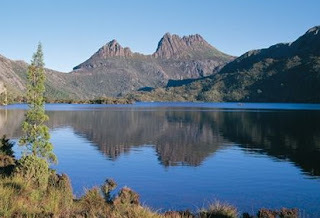 Here you can visit the spectacular scenery of crystal clear lake Dove background Cradle mountain top. Cradle Mountain forms, such as the its name, looks like a cradle. There is one track that was very popular among bushwalkers here, namely the Overland Track. Trek along the 65 km and can be reached in 6 days it is their sacred journey, has been named as a person not worthy of a true adventurer if you have not tried a track that starts at Dove Lake and ends at Lake St Clair. There are many fascinating tourist attractions in Launceston. 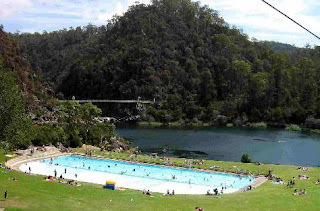 In Launceston, you'll be treated to the buildings of elegant Edwardian style and Cataract Gorge wilderness full of magical charm. Explore the fields of ferns or down and up the cliffs or paragliding across the canyon walls are amazing. In the south Launceston, you can enjoy the rural atmosphere of the 19th century in Longford and see Australia's biggest craft fairs in Deloraine, a charming riverside village. Exploring the antiquities galleries, craft shops and markets in the village of Evandale who has a distinctive style of Georgia and across the Ross River above the stone bridge at Ross. 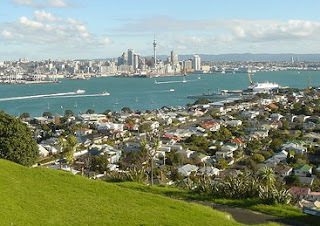 Devonport famous for the sea is calm and clean air. Walk around the harbor, where vessels Spirit of Tasmania has become a landmark, here you can paddle, surf, sail down the Mersey River, or explore the coastline towards the coastal villages such as Penguin, Wynard and Stanley, which is located under the auspices of the volcanic plugs steep known as 'The Nut'.